If you follow along on Instagram (you totally should), you know that every Wednesday since way back when, I’ve been posting pics of my weekly comics pull. For a while now, I tried to figure out a way to highlight the various titles I pick up each week and eventually, this column has been born. Each week, I’ll break down the various titles I pick up and dish on favorites and, oh, not so favorites. So with that being said, let’s jump into this week’s pull of titles. 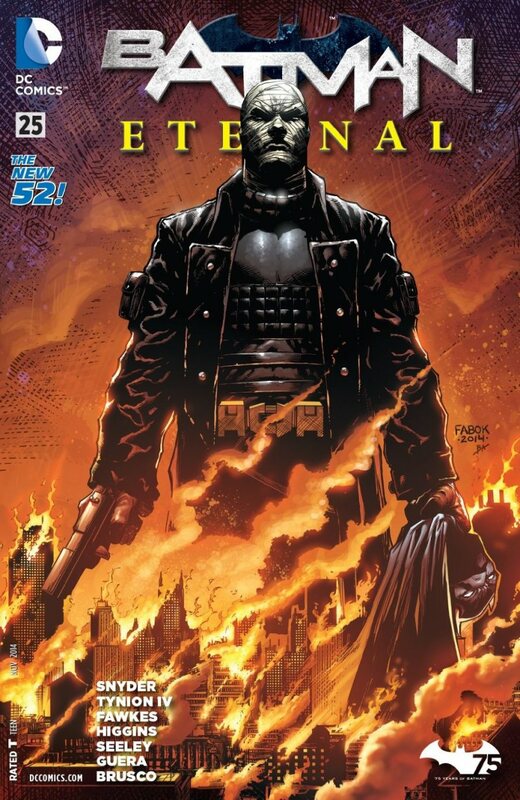 After several issues of character and story build-up, Batman Eternal has reached its tipping point and the next few issues promise to be a thrill to read. We’re about halfway through this weekly series and some familiar villains *ahem* Bane are expected to appear in the coming weeks. I relegated Savage Wolverine to the discount/dollar bin a while back, but when I saw the cover for the latest issue, I HAD to pick it up. 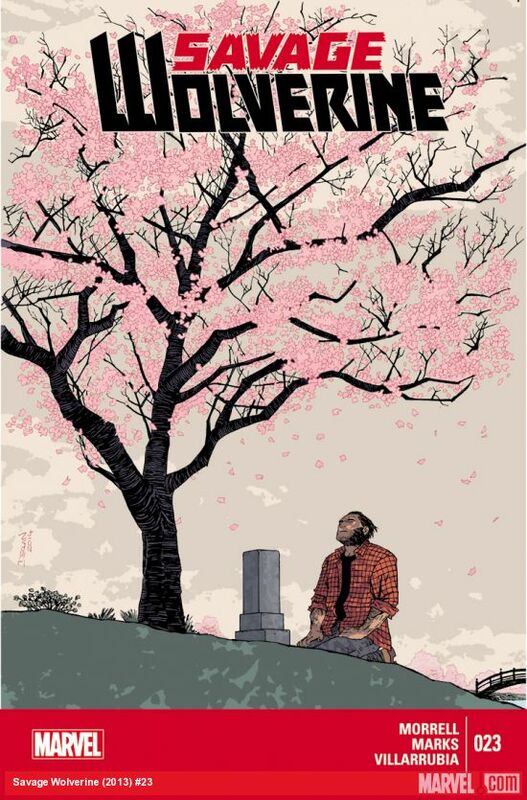 I wish the sakura flowers were embossed and added some texture to the cover. The story itself follows a familiar theme currently established in the Death of Wolverine series, with a bunch of guys hunting down Wolverine in the Canadian Rockies. The wolf subplot was heartbreaking, especially toward the end. Thank goodness the DC Futures End specialty covers are coming to a close this week. I haven’t really cared much for these one-shots and can’t wait to fall back into the regular storylines from the various titles that took a break this month. 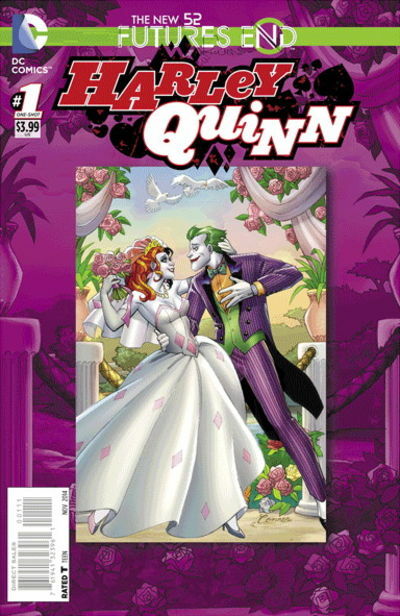 That being said, my favorite cover is the Harley Quinn one-shot, although the Catwoman is pretty cool/freaky. The story is okay and Harley benefits with having its regular writer Amanda Conner penning the island caper. I understand this is all about world building and establishing the variations of Spider-Man that will pay off in upcoming issues of Amazing Spider-Man, but I found this particular issue very dull and uninteresting… which is exactly the opposite of how I felt with Edge of Spider-verse #2 with Gwen Stacy. Two more Edge issues await along with Spider-Man 2099 #5 and Amazing Spider-Man #7 & #8 before the series is completed. 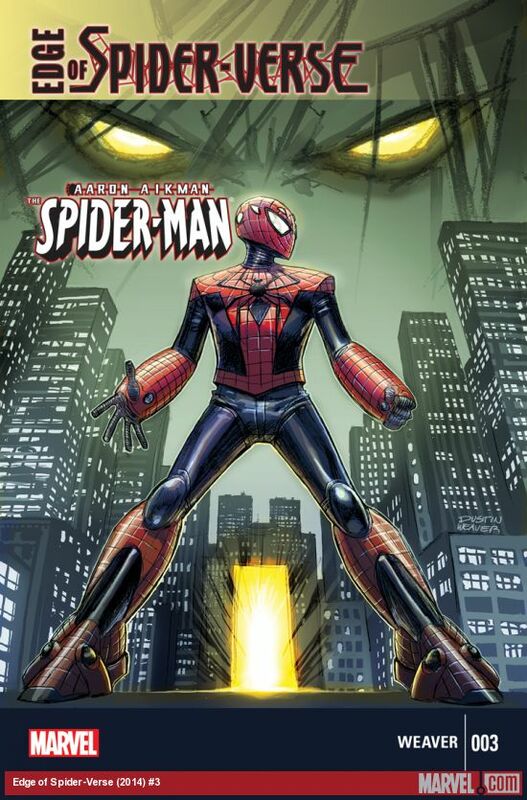 IF you’re interested in the previously released issues in this series, they are Edge #1 and Superior Spider-Man #32 and #33. So those were my pick ups this week. Which titles did you pick up? What were your favorites and not so favorites? Comment below! Tags: Batman, Batman Eternal, comics, DC Comics, Derrick Deane, futures end, harley quinn, Marvel comics, savage wolverine, Spider-Man, spider-verse, Wolverine. Bookmark the permalink.